Is iPage Site Builder Really Any Good? What concerns you the most about building a website for your business? Is it the design and development of your site or the hosting and subsequent support? With the numerous hosting companies and website builders available at your disposal, there is a strong likelihood that you may select two different companies for hosting and for the website builder tool. Now, this is where iPage scores better over many others! It offers the popular Weebly drag-and-drop builder tool with all its hosting plans or packages and the best part is that iPage provides you with this website builder application for free. Thus, you can try out the iPage website builder when you enrol for its hosting services. Using it, you can create good quality and professional looking websites with simple mouse operations for click and drag. You may want to know if iPage’s Weebly drag-and-drop site builder is ideal for your website development requirements. This is what we will try to help you decide by doing an honest review of the features of the iPage website builder. In this article, we take a detailed look at the features of iPage’s Weebly site builder, its pros and cons and so on. 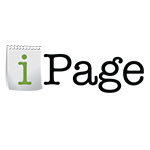 iPage has been a highly popular web host, ever since it was established in 1998 by Thomas Gorny. The company is headquartered in Burlington, MA, USA. It started out by providing full web services and has thus far served more than 2,000,000 websites. However, it completely revamped its operations in 2009 to ensure better customer satisfaction. iPage is owned by the Endurance International Group (EIG) which also owns web hosting companies like HostGator and Bluehost. You will generally see the iPage feature in lists of the top 10 web hosting providers mentioned on several hosting review websites. Apart from web hosting services, it offers great flexibility for building your site using website builders, blogging platforms, software like Dreamweaver or Expressions, and more. In short, it goes all out to provide you with the freedom to create an online presence that strongly reflects your business or brand. So, let’s check out how good the free website builder is that iPage offers along with your hosting accounts. Weebly exists as an independent web hosting company. Its website builder is one of the most renowned site builder tools recommended in the market, if you are looking for a simple drag-and-drop website builder. The tool became so popular and widely used by so many people that it was made proprietary. This ensured that the other web hosts were allowed to use the same Weebly site builder in exchange for certain licensing fees. The Weebly Drag and Drop Site Builder has been included along with the basic web hosting services of iPage. However, the key thing to note here is that iPage has been using a very old version of the Weebly site builder for a long time now, whereas the actual Weebly site builder available on Weebly.com has undergone several upgrades. The thing with the Weebly drag-and-drop builder offered by iPage is that it is extremely easy to get started with, even if you are a complete novice. You can kick start the design and creation of your site by simply logging in to your iPage hosting account. Once you are inside your control panel, you can just opt for the Weebly Drag and Drop Builder under the “Website” section. Even though this Weebly site builder tool version is not the updated one, it still offers great flexibility and an easy user interface for quick site development. You can completely rely and trust the highly professional customer support team of iPage for any issues you encounter while building your site. iPage considers customer satisfaction as their top priority and so they make sure that their support staff undergoes rigorous training and quality assurance testing before they can offer support to you. You can approach iPage’s around the clock support team for issues while handling the site builder via telephone, live chat or email. As far as customer reviews published online are concerned, their response time is pretty good. Even though the site builder tool is very simple to understand and use, you have the backup of a solid support team for any related issues. However, even before you contact the support team, you can use the comprehensive knowledge base, tutorials and FAQs provided by iPage. Like most site builders, iPage offers you access to a good collection of ready-to-use site templates. Apart from its own default collections of templates, iPage also provides you with one-click installation for quick setup of open source Content Management Systems (CMSs), such as WordPress and Joomla. These CMSs provide you with access to several ready-made templates and innovative designs created by other users. Once you make the selection of a template design, you can simply proceed to drag and drop your preferred site elements on the webpage. Using this site builder platform, you can even create directories, forums, portfolios and more. It allows you to choose the option to create websites that are compatible with the screens of your mobile devices. In other words, you can create mobile-friendly websites using the Weebly site builder of iPage. With Google giving significant importance to the mobile friendliness of websites, you are better off choosing this feature while designing your website. The best thing about the iPage site builder is that you get the combined features of the iPage hosting plan you choose. It is possible for you to create a comprehensive online store to enhance your business reputation using this tool. You can load your store with several eCommerce features, such as PayPal integration, and numerous leading shopping cart solutions, such as Shopsite, AgoraCart and osCommerce. To ensure secure payment transactions on your eCommerce pages or site, you can even include a shared SSL certificate with your iPage hosting plan. So, you can now start selling your products or services online without much effort! Just keep your inventory of products ready and use the simple Weebly Drag and Drop Builder to create an impressive eCommerce portal for your customers. You can add SEO capabilities to the content of your site to rank higher in the top search engines, including Google and Yahoo. This tool allows you to add meta description, keywords as well as suitable keyword rich titles for your site to enable your target audience to find you through relevant search queries submitted to search engines. As the Weebly Drag and Drop Builder application is available by default with any iPage hosting plan, you need not purchase it separately. It is like a free service provided by iPage for its entire web hosting customers. You can start using the site builder with the most basic iPage essential hosting plan which starts at just $1.99 per month. You can subscribe to this plan on a one-year basis or a two or three-year basis. Of course, you get this site design tool with other hosting plans like VPS and dedicated hosting. If you are an individual or small business, you can try out the basic plan to see whether you feel comfortable using the site builder along with the hosting features on offer. The good thing about trying out this tool is that you get a 30-day money back guarantee with the iPage hosting plan subscriptions. So, if you somehow don’t like the hosting account features or the site builder features, you can get your refund and opt for any other site builder and hosting service. The Weebly site builder platform is available to you for free along with your iPage hosting account. Thus, you save some money. You need not download this add-on site builder application on your computer from the official Weebly website. Instead, it is available for use almost instantly from your iPage account. This tool can be used to create or update your website in real time without the need to upload files through an FTP. In other words, your site does not have to undergo any downtime for real-time modifications which leads to faster website development. The biggest disadvantage with this site builder is that it is an outdated one. It seems as though, even though iPage paid initial licensing fees to Weebly to start using the earlier version of this tool, iPage never paid again for subsequent upgrades. The templates on offer from the old Weebly version site builder of iPage are not as diverse or great looking as some of the templates offered by the latest version of the Weebly builder on the official Weebly.com website. Though iPage web hosting services are some of the best in the business, the site builder offered by it is just about average. Until iPage decides to update the Weebly Drag and Drop Builder to the latest version available through Weebly.com, you may not want to use this tool for designing complex websites. However, if you just want to build a simple blog or a site with few pages, then you can use this “free of cost” website builder together with the cheap iPage essential hosting packages. Indeed, you can use this simple drag-and-drop tool without having any programming or coding knowledge or experience. We hope that the information shared above helps you decide whether the iPage site builder fits your requirements for an ideal website building tool. So, when do you plan to go for the iPage website builder? Do you have any questions? Please feel free to leave your comments below and thanks for reading!